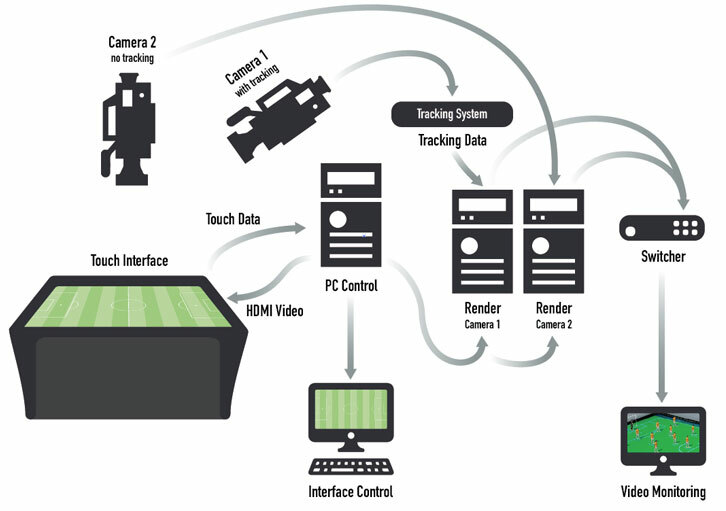 Tactics.VR is a real-time sport analysis tool that allows presenters and guests to contribute in the analysis of plays and tactical schemes during live broadcasts. The augmented reality system allows sports experts to interact with 3D environments to illustrate and enlighten spectators about the current match by virtually recreating the plays, providing a better understanding of the game and its rules. A case of great success in Brazil, Tactics.VR has been widely used in broadcast transmissions by TV Globo, in events such as soccer championships, World Cup and the Olympics. 2017 © Mirakulo - All rights reserved.